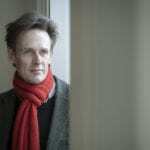 This weekend, world-renowned tenor Ian Bostridge will complete the final instalment of his 2018 residency with the Seoul Philharmonic, giving concerts on Saturday and Sunday. Ian was honoured to be the first artist named as the recipient of the residency, travelling to Seoul three times this year to give a series of concerts with the orchestra. In this final week, Ian will perform selections from Mahler’s Des Knaben Wunderhorn with the orchestra and conductor Osmo Vänskä, alongside a host of promotional activities including an Oxbridge Society talk and reception in Ian’s honour at the British Embassy, hosted by the British Ambassador. 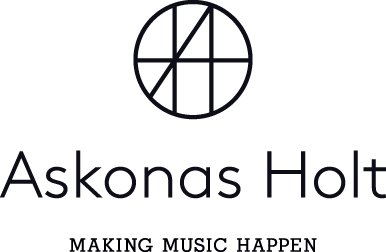 To buy tickets for the Seoul Philharmonic concerts, please visit their website. It has been an extraordinary few months for Ian, having included the beginning of a Schubert cycles residency at Wigmore Hall, recorded live for release on the Pentatone label in Autumn 2019. Ian also gave the world premiere of a new piece by James MacMillan marking the centenary of the end of World War One, performed subsequently with the London Symphony Orchestra. Also marking the centenary, Ian’s new recording Requiem, The Pity of War with Sir Antonio Pappano, was released last month to huge critical acclaim. Described by Gramophone Magazine as “a disc of great power and intelligence”, it was also awarded Album of the Week in The Sunday Times. Ian will perform the music from the album with Sir Antonio Pappano on 5 December at the Barbican. To download Ian’s new album visit this link, and for tickets to Ian’s Barbican concert on 5 December, please visit the Barbican website. For fans on the other side of the pond, Ian will next perform Britten’s War Requiem with the National Symphony Orchestra of Washington on 29 November and 1 December. For tickets to Britten’s War Requiem with the National Symphony Orchestra of Washington, click here.